Last week, Arizona got a new top prosecutor. John Leonardo, former Superior Court Judge for Pima County, was confirmed on Friday as the United States Attorney for the District of Arizona. Some news stories on the new appointment pointed out that Judge Leonardo had dismissed an indictment brought against Maricopa County Supervisor Mary Rose Wilcox, finding it was retaliatory. Does that dismissal indicate how the new prosecutor may approach probes of the Maricopa County Sheriff? At least one news outlet suggests it does. Leonardo said in an email that the president still needs to sign his commission before he can be sworn in, which should occur next week. So my question is: Should we at Arizona Attorney interview the newest United States Attorney for a Q&A? We have published Q&As with a few of the recent top prosecutors—Paul Charlton and Dennis Burke. If you do think we should interview Judge Leonardo, what questions would you like to see him answer? Post your questions in the comments below, or write to me at arizona.attorney@azbar.org. Today, I commend to you a great blog and its blogger, who writes on a compelling subject, and who does so eloquently. The writer is Richard Zorza, and his blog was brought to my attention by a good friend. 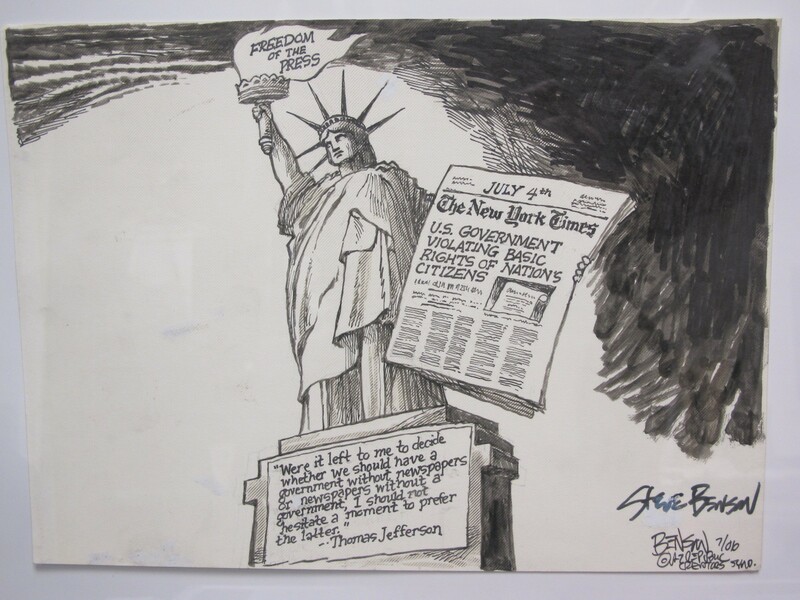 It is titled “Richard Zorza’s Access to Justice Blog,” and you can read it here. Any day of the week, he provides valuable content on one of the most pressing issues in our society. But yesterday’s lighter fare was a blog post of another variety. In it, he reported that the American Judges Association has a new President—as associations are wont to do. This year, the new top jurist is Judge Kevin Burke, a state court judge in Hennepin County, Minnesota. Judge Burke is reason enough for the item to come to my attention. He is a highly accomplished judge, one who is well (and often) published and who has garnered praise and awards both locally and nationally. You may read more about him here. 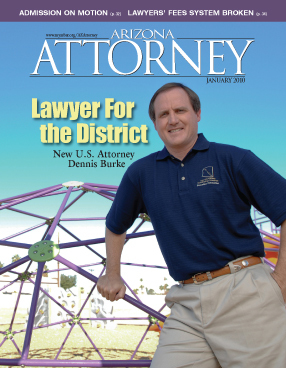 Here in Arizona, there’s another reason to know Judge Burke—he is brother to Dennis Burke, until this month the United States Attorney for the District of Arizona. In his post, Richard Zorza wisely provides a link to Judge Burke’s Wikipedia entry. But that made me chuckle, because when I interviewed Dennis Burke a few years ago, he praised his brother–judge up and down, and added a smirk when he pointed out that Kevin has his own Wikipedia page. O brother—Some families are accomplished beyond belief! Zorza’s post also alludes to a connection between chocolate and judges ruling well. In fact, Judge Burke (on his own blog!) provided his own commentary on the sugary subject. 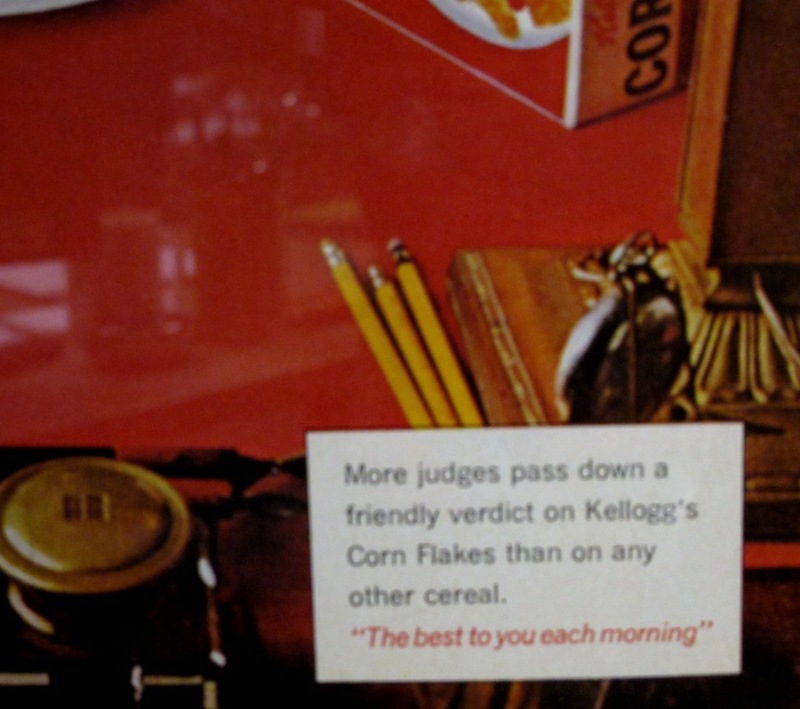 Litigants benefit from a well-fed judge, a recent study reports. All around an educational post, for which I thank Richard Zorza. But that makes me wonder: Are any Arizona judges blogging? I’d love to hear from them, or from those who read their pages. Contact me at arizona.attorney@azbar.org. Please do not write to me to provide alternative names to my following statement: David Bodney is one of the nicest guys in town. I was going to write “one of the nicest lawyers,” but that would be understating it. 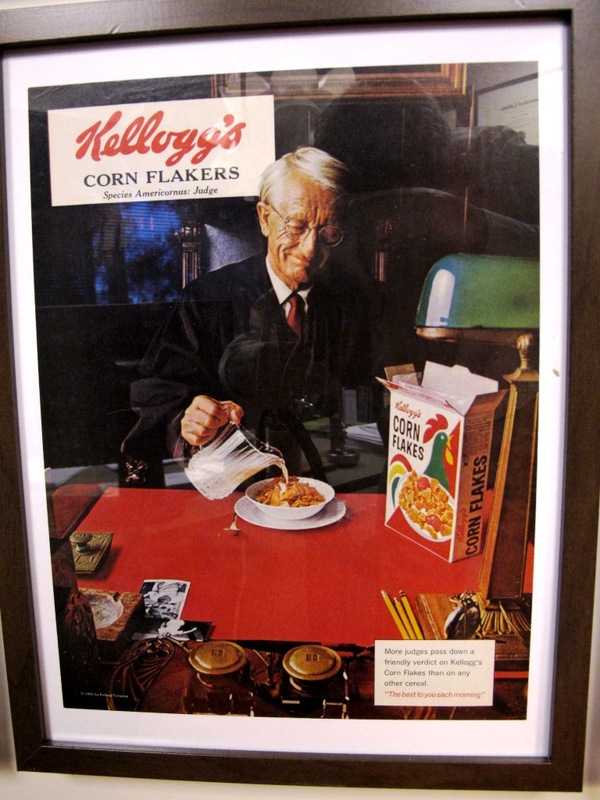 Of course, I don’t know everyone, and there may well be a few folks around who are nicer than David, the managing partner of Steptoe & Johnson’s Phoenix office. But he’d give them a run for their money. Besides his commitment to the community (which you can read about below), David’s work also makes him an unflinching advocate of the press—which I really like, for a variety of reasons. As someone who writes for a living, I like knowing that lawyers such as Bodney guard the First Amendment. And as a citizen and news-consumer, I like knowing that the Fifth Estate is permitted to do its important work, often with the help of media attorneys. That’s what makes David’s selection for a prestigious award so perfect. On Friday, when he is handed the Valle del Sol’s 2011 Peacemaker Award, he will be moving into hallowed ranks. But that’s a berth he’s earned, and richly deserves. 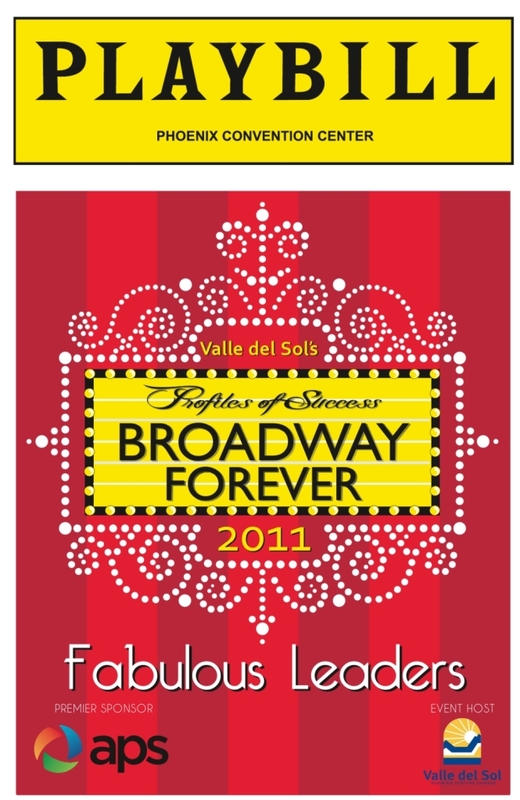 I must add that Valle del Sol is a great organization, and they get added props for their Playbill design for Friday’s luncheon. Let the show begin! I will be unable to attend on Friday, but if you see David, thank him for his work—and be sure to embarrass him by remarking what a nice guy he is! The complete release follows. Congratulations again, David. 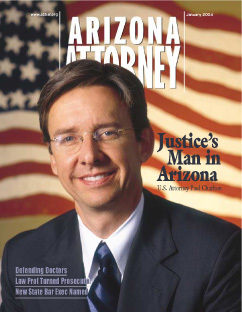 (August 31, 2011, Phoenix) — Steptoe & Johnson LLP is pleased to announce that partner David Bodney will receive the 2011 APS Peacemaker Award from Valle del Sol on September 9 at the organization’s annual Profiles of Success luncheon at the Phoenix Convention Center. Mr. Bodney has successfully defended print, broadcast and electronic media in defamation, privacy and related lawsuits in numerous federal and state courts for more than 25 years. He is the managing partner of Steptoe’s Phoenix office and serves as an adjunct faculty at Arizona State University’s Sandra Day O’Connor College of Law and the Walter Cronkite School of Journalism and Telecommunication, where he teaches media law. Mr. Bodney is a member of the National Commission of the Anti-Defamation League, American Jewish Committee Board of Directors—Arizona Region, the past Chairman of the Board of the Children’s Action Alliance and past President of the Board of the Arizona Center for Law in the Public Interest. 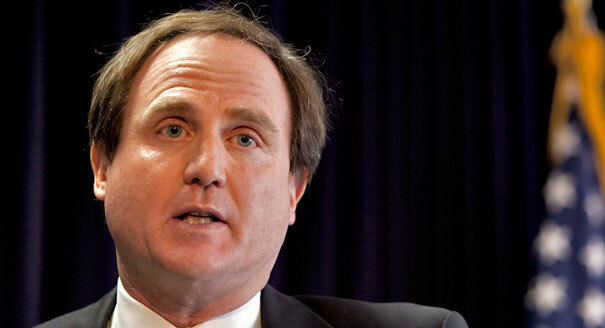 He also serves on the Endowment Board of ASU’s Walter Cronkite School of Journalism and Telecommunication. More information on the Profiles of Success event is here. Steptoe & Johnson LLP is an international law firm widely recognized for vigorous representation of clients before governmental agencies, successful advocacy in complex litigation and arbitration, and creative and practical advice in guiding business transactions. The firm has more than 500 lawyers and other professionals in offices in Beijing, Brussels, Century City, Chicago, London, Los Angeles, New York, Phoenix and Washington. For more information, click here. 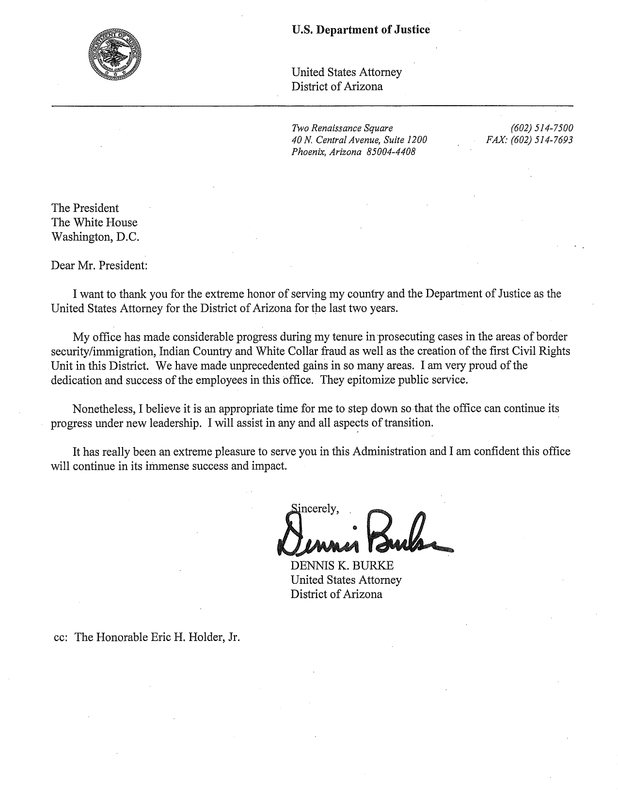 According to an announcement this morning from the office of the United States Attorney for the District of Arizona, U. S. Attorney Dennis K. Burke has resigned. Ann Scheel will serve as Acting United States Attorney. The Arizona Republic reported on the resignation, noting that it follows on the heels of the recent “Fast & Furious” gun scandal, which has engulfed the Department of Alcohol, Tobacco, Firearms & Explosives. 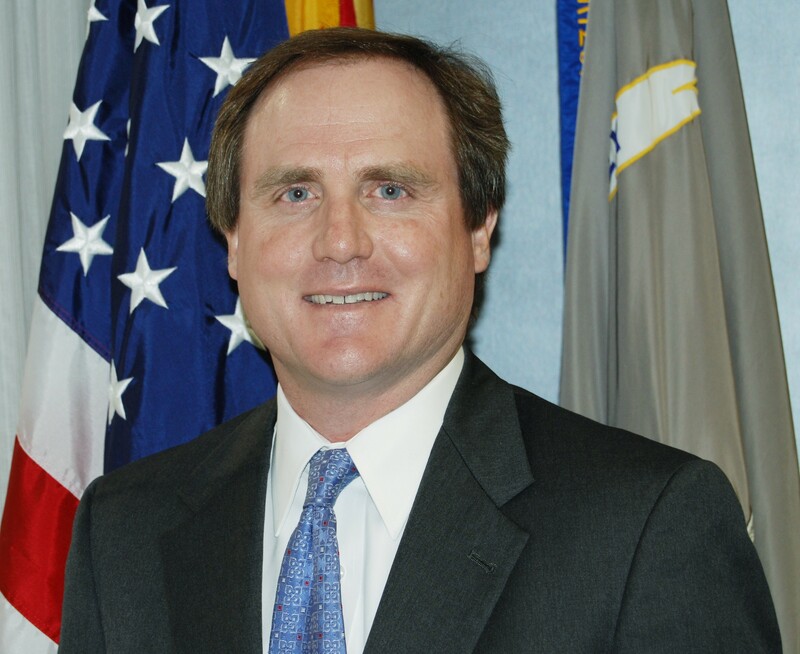 Just today, other outlets reported that ATF Acting Director Kenneth Melson had stepped down. The Washington Post reports he has been reassigned. The full release is below. We’ll have more news on this as it become available. Just more than a month after U.S. Attorney Dennis Burke re-asserted his position that prosecution on Indian land is a priority, we can see significant movement on the topic. It may have been the U.S. Department of Justice in Washington that made wide-ranging legislative proposals, but they have the fingerprints of western states’ prosecutors all over it. And that’s a great thing. Proposals also would allow tribal courts to enforce protection orders against non-Indians, no matter where the order originates. If enacted, the VAWA amendments would take effect in two years. We’ll follow the story as it develops. But this is a noteworthy step in stemming the epidemic. A noteworthy opinion piece in the Arizona Daily Sun nearly slipped past me unnoticed. But it is a hopeful sign for a chronic Arizona—and national—problem. In the op-ed, Dennis K. Burke, the United States Attorney for the District of Arizona, says that prosecutions are up on Indian reservations. Depending on whom you ask, low prosecution rates on the reservation has been either a national embarrassment or a misunderstanding about the way things really work. Hmmm—“distracts”? The U.S. Attorney’s Office may be understandably thin-skinned about the issue. They have been hammered pretty hard on it. In fact, in January I wrote about the proliferation of stories on the topic. I leave it to others to determine whether the heightened news coverage had any impact on shifting priorities in the prosecutor’s office. Maybe not. Of course, that would be the first time in history that the light of day hadn’t been persuasive. Nonetheless, the list of accomplishments and initiatives Burke lists are impressive. As I did in January, I cheer those efforts, and we look forward to continued successes. Read Dennis Burke’s complete message here. If you have heard a more compelling opening to a keynote speech, I’d like to hear it. 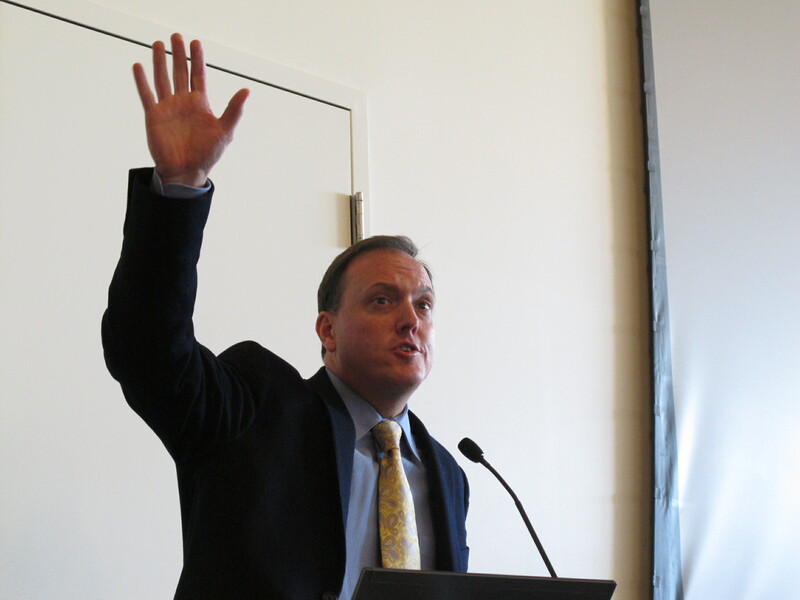 That’s the way a conference of Drug Court experts was launched last Thursday in downtown Phoenix. 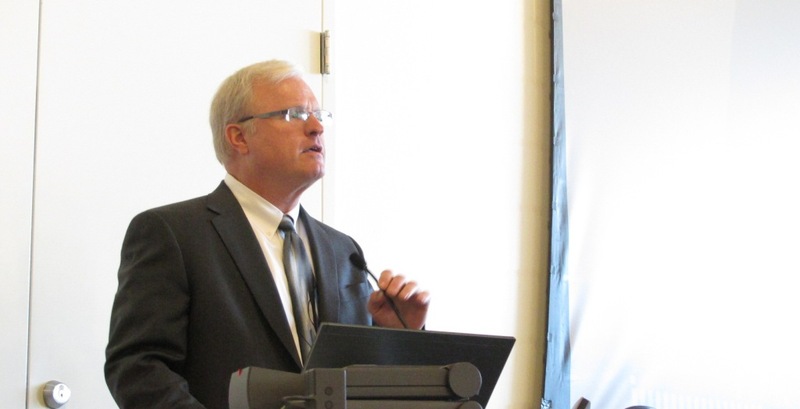 When the CEO of the National Association of Drug Court Professionals rose to speak, his words went beyond the coffee-and-Danish interlude that typically slogs by interminably as attendees wait for their first session. “Instead of indifference, you bring compassion and understanding. You see beyond the chaos and wreckage” that characterize the user’s life. And he knows about wreckage. Huddleston recalled how his life at 20 was spiraling out of control. In May 1988, he said he was a “hopeless addict and alcoholic.” He had been arrested six or seven times, and he was absolutely miserable. He was scheduled to begin a court-mandated rehabilitation program—but he was wavering. That’s when the phone in his Memphis apartment rang. It was a woman he had known since he was a young boy. The friend, Erica, was in Florida, and she and her boyfriend had a large quantity of the drug Ecstasy to distribute in Memphis. Would West be interested in this lucrative business? The story grew more remarkable when Huddleston added that Erica had been caught in a sting; her “boyfriend” turned out to be a DEA agent. She and others who had said “Yes” to her offer were convicted and sent to prison. And that is what a conference about Drug Courts is about, he said: saving lives. Sessions that followed included topics like substance abuse, veterans courts, juvenile courts, Native American populations, and prisoner re-entry issues. 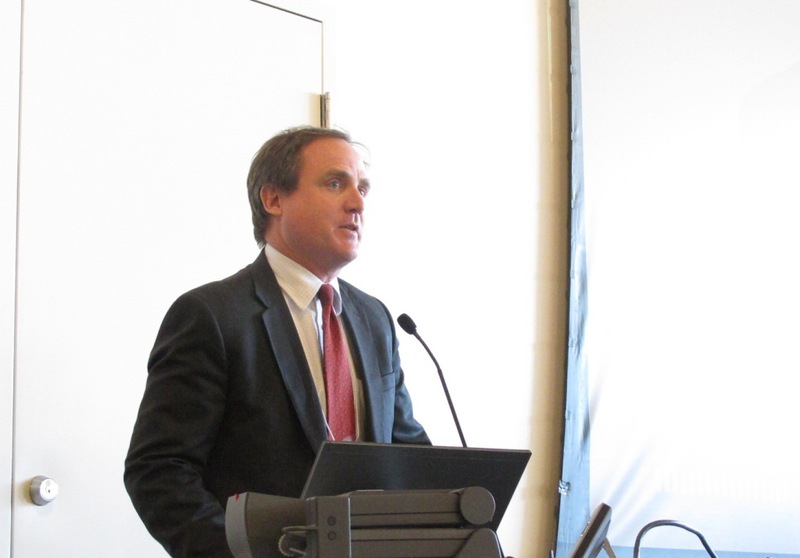 Re-entry was on the mind of United States Attorney Dennis Burke, who also spoke. He described a re-entry task force organized by his office that strives for original thinking on this tough topic. (Disclosure: The author has served on that task force.) When he described the task force as “a coalition of the willing,” he could have as easily been describing the conference attendees. “You make a difference,” Justice Brutinel told those assembled. And that said it all.